If you asked someone to name his or her favorite mathematical constant, you would probably get some quizzical looks. After a while someone may volunteer that the best constant is pi. But this is not the only important mathematical constant. A close second, if not contender for the crown of most ubiquitous constant is e. This number shows up in calculus, number theory, probability and statistics. We will examine some of the features of this remarkable number, and see what connections it has with statistics and probability. Like pi, e is an irrational real number. This means that it cannot be written as a fraction, and that its decimal expansion goes on forever with no repeating block of numbers that continually repeats. The number e is also transcendental, which means that it is not the root of a nonzero polynomial with rational coefficients. 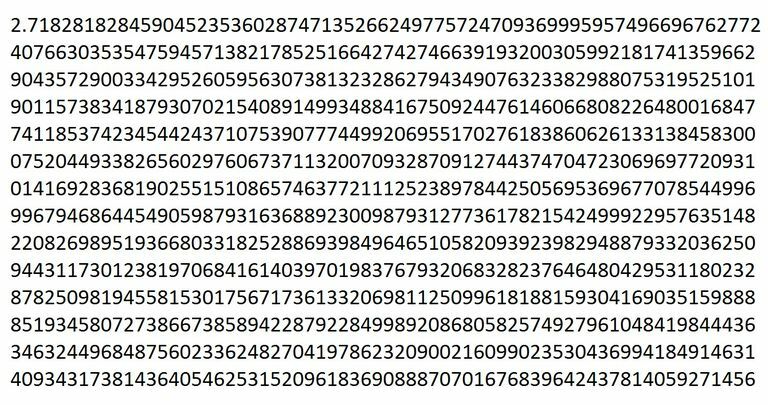 The first fifty decimal places of are given by e = 2.71828182845904523536028747135266249775724709369995. The total amount of interest increases for each of these cases. A question arose as to how much money could possibly be earned in interest. To attempt to make even more money we could, in theory, increase the number of compounding periods to as high a number as we wanted. The end result of this increase is that we would consider the interest being compounded continuously. While the interest generated increases, it does so very slowly. The total amount of money in the account actually stabilizes, and the value that this stabilizes to is e. To express this using a mathematical formula we say that the limit as n increases of (1+1/n)n = e.
It is the base of the natural logarithm. Since Napier invented logarithms, e is sometimes referred to as Napier's constant. In calculus, the exponential function ex has the unique property of being its own derivative. Expressions involving ex and e-x combine to form the hyperbolic sine and hyperbolic cosine functions. Thanks to the work of Euler, we know that the fundamental constants of mathematics are interrelated by the formula eiΠ +1=0, where i is the imaginary number which is the square root of negative one. The number e shows up in various formulas throughout mathematics, especially the area of number theory. The number e makes an appearance in the formula for the gamma function. The formulas for the standard normal distribution involves e to a negative power. This formula also includes pi. 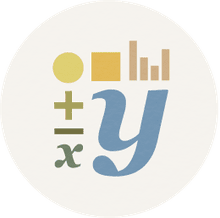 Many other distributions involve the use of the number e. For example, the formulas for the t-distribution, gamma distribution, and chi-square distribution all contain the number e.
What Is a Real Number?